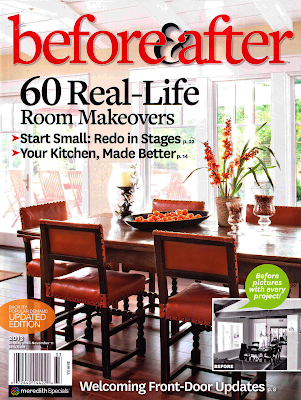 the current issue of Before and After Magazine. There are great before and after features, truly inspirational. Thanks Before and After Magazine! Yay, you! I'm making sure to buy a copy. Congrats. That is totally awesome! @ I have never heard of nor seen this magazine ever. Is it regional? Where can I find it? I am so SO thrilled for you!